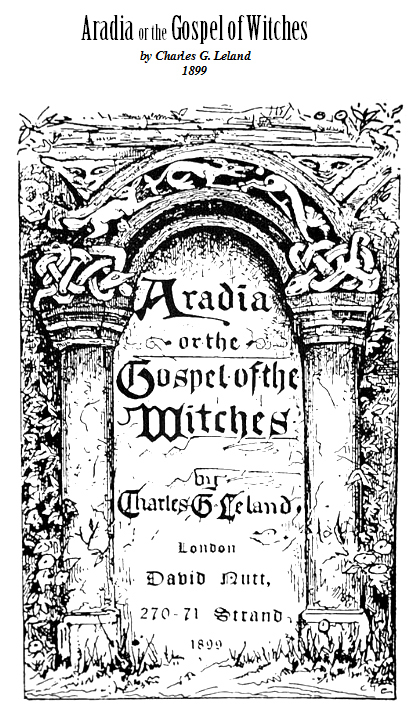 “Aradia, or the Gospel of the Witches is a book composed by the American folklorist Charles Leland that was published in 1899. It contains what he believed was the religious text of a group of pagan witches in Tuscany, Italy that documented their beliefs and rituals, although various historians and folklorists have disputed the existence of such a group. In the 20th century, the book was very influential in the development of the contemporary Pagan religion of Wicca. Above is a link where you can view a PDF, kindly provided by Ravens Wyrd, of the entire book text written by Charles G. Leland. Below is the first chapter. “Make more bright The Star Queen’s crescent on her marriage night.” -Ibid.